Fomer NSW police commissioner Andrew Scipioni sleeps rough for the night to support Georges River Life Care. South Sydney Christian charity Georges River Life Care raises money each year for its domestic violence support services, but in 2018 it ramped up its efforts with GiveNow's latest peer-to-peer fundraising tool, CrowdRaisers. The annual Sleeping Rough event sees fundraisers come together for the night to sleep in the car park of local establishment Club Rivers. Money raised goes towards providing victims of domestic violence with a range of services including a legal advice clinic, counselling services and emergency provisions. This year, Georges River Life Care manager Glenn Power decided to aim big. "I thought, 'Let's just go for it. Let's aim for $20,000.' This was double what we had raised in previous years." Georges River directed existing donors from the church and local community to its regular GiveNow cause page, which is commissionfree. The organisation used GiveNow's new CrowdRaisers feature solely for peer-to-peer fundraising, which attracts a fee of 3.8% for each donation. The fee covers the development of the new CrowdRaisers feature, which allows individuals to fundraise on behalf of organisations by creating their own profile page on the GiveNow site. This sits alongside an organisation's regular cause. Individuals can then ask their friends and family to donate to their fundraising effort, whether they're participating in a fun run, or requesting charitable donations in lieu of birthday gifts, or, as in the case of Mr Power's organisation, participating in a sleep-out. "The sleep-out event is really designed for peer-to-peer fundraising," Mr Power said. "We'd used GiveNow in our peer-to-peer fundraising before the CrowdRaisers feature came through, but it was a bit clunky. It's so much smoother and simpler now - a great improvement. "Every dollar back to us is awesome, but when we think of 3.8% in the scheme of things, when GiveNow is doing all the work to run the service and produce receipts, it's worth it." Mr Power knew that if the church was going to double the previous year's fundraising target, it would need a range of new strategies to get it over the line. The most successful strategy was opening up the age range of the supporter base. "Normally we only invited adults to participate, but this year we opened it up to whole families, which really expanded our base." Another successful strategy was setting a minimum fundraising requirement. "We asked people to raise at least $200 to participate in the sleep-out." The target for younger fundraisers was lower. Several high-school-aged children used GiveNow's CrowdRaisers and not only met the church's minimum fundraising requirement but in some cases exceeded it. "I think when a young person does something for social benefit, people take notice, because that kind of responsibility normally lies with older people," Mr Power said. "So when younger people take a stand, adults respond really well. They rise to the challenge and ask themselves, 'Well, they're putting themselves out there. Why aren't I doing something too?'" He won strong support from local personalities and businesses, including event host Club Rivers, Mayor Kevin Greene and NSW MLA Mark Coure. But it was the backing of the ex-Police Commissioner for NSW and church member Andrew Scipioni that got the attention of a local newspaper, which reported Mr Scipioni saying, "This is my church, but on a bigger picture, this is a great initiative... In my time as commissioner, I've seen some horrific numbers in domestic violence and in particular, sexual violence and the impact it has on children." 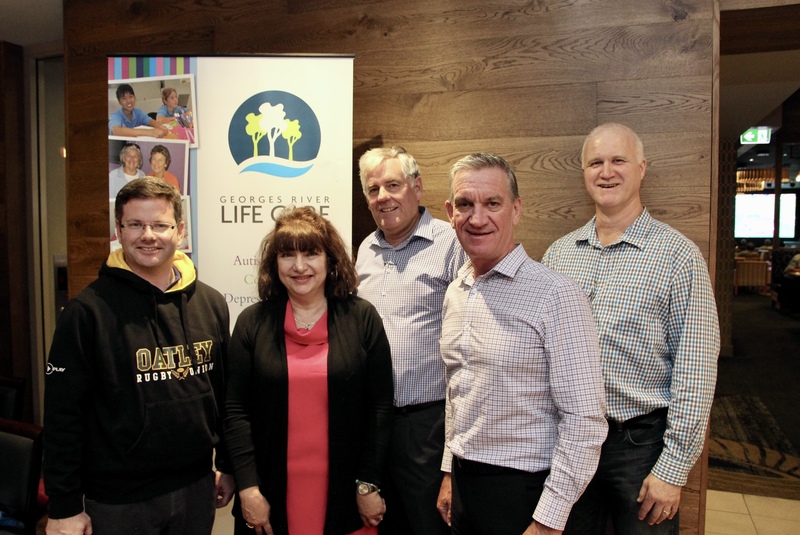 Georges River Life Care exceeded its target by 25%, raising $25,000, and Mr Power hopes to keep the event growing next year. "We want to continue to grow it beyond the church and be something the whole community can participate in."